A week ago the BIB carried the news of the death on 25 June of the irreplaceable Rodney McElrea (right). We are grateful to Tony Friel - record collector, radio presenter, and friend of Rodney for forty-seven years - for sharing these memories. 'Yes', I said - with some surprise, as I had not told anyone about my hobby. 'How did you hear about me?' I asked. Well, he said that some of his friends who I happened to know as well told him, and that some record shop owners had mentioned my name a few times, and he thought that he would contact me. I brought him into the house and went to my modest little record room that I had at that time. My wife of ten months brought us in some coffee, and we talked for about two hours non-stop about country music. I had only about 450 or 500 LPs at the time. Rodney took great interest to see what I had collected and was surprised that I had a lot of bluegrass albums there as well. Any artist that he did not know about or hear before, he would ask me to tell him about them and play some track of whatever album caught his attention. I must admit my knowledge was down to whatever information I could get from album liner notes, as there were no books on country music to mention. Opry, a new country magazine, was just starting to make the rounds around this time - I still have the original issues somewhere. I was then asked to visit his new house in Omagh, where he had just moved to from his native Newtownstewart. As the years passed Rodney and I became very close indeed. We would on our weekends travel to Belfast to visit the many record shops that were there at that time. Once a month we would head to Dublin to do the same, such was our interest. We would call with all the record collectors that we knew, sometimes getting records from them that we wanted. Around 1974 Rodney slowed down a little as he had met a lovely girl called Ruth Little. Ruth took up much of Rodney's time, and our collecting outings became non-existing. We still kept in touch, but by this time we were able to get our records from dealers that sprung up all over England and Europe. After Rodney and Ruth married, I did not see him as often as we used to, but we still were in touch with each other. He asked me to go to America with him a few times, but my simple wage at that time did not allow me to do so. Rodney came back from the USA fully charged with exciting news of artists he had met on his travels, and this filled me with envy. He told me about meeting Dorsey Dixon, Bill & Earl Bolick (Blue Sky Boys), Roy Acuff, Hank Snow, Kitty Wells, and the family of the great Charlie Poole. 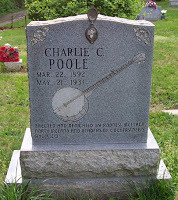 Rodney came back one time and told me that he was going to erect a headstone to Charlie Poole as he was disgusted that the family did not bother to place a marker on Charlie's grave. Rodney went about the task of collecting money from readers on the bi-monthly booklet that he and Charles Newman were running at the time, called Country News & Views. These little booklets are now collectors' items. They collected enough to buy and erect a marker for Charlie. If you ever see a picture of this headstone, look closely and you will see the name of Rodney McElrea on it. I would slag him for years, telling him that he will be the only man I know that will have his name on two different headstones. He would laugh at this. As the years rolled past so fast and took its toll on all of us, I could see Rodney's health fading somewhat. He would sit in his kitchen surrounded by books and CDs. He always had visitors any time I called. Then the family rang me one day to tell me that Rodney had taken a stroke and he was in hospital. I never forget when I went to his ward, I could see a great change on him. He came out of that a little after four months, moving from one place to another. 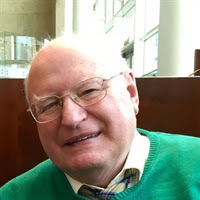 The last week of his life, I could not get anyone at all despite my ringing every phone number that I had connected to the McElrea family. Finally his son Richard contacted me to say that his dad was in hospital and was not doing good. His wife Ruth then rang me to ask me to come and see him. That was the last time I saw my lifelong friend alive. He passed away the next day, Sunday 25 June. I have lost a big part of my life when Rodney went, and I am thankful that we were part of each other's lives for so long and never had a cross word between us in all that time. I learned so much from him, and he said he learned from me as well. I suppose we were two of a kind. He would listen to my radio shows and tell me where I was going wrong, or who I should have played. I always knew in my heart that he was listening in, so I had to be on my guard all the time. I will miss him every day. Rest easy. my friend, as I am sure that you are up there in heaven giving A.P. Carter and Hank Williams some interesting news from down below. Sad to learn of this. I enjoyed a few of his Omagh talks. Such knowledge, humour, passion for the music, and willingness to share. Lost a good guy here.